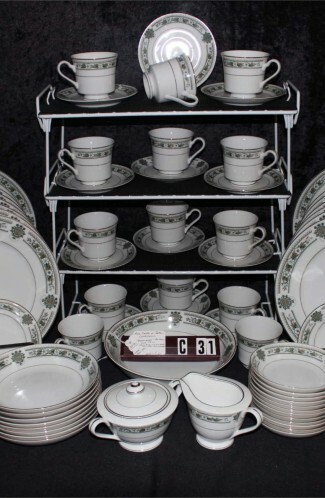 Vintage - Beautiful White on White China, "Wakefield" Pattern #364 made by Fine China of Japan. 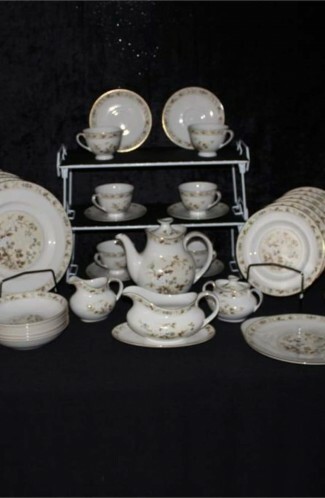 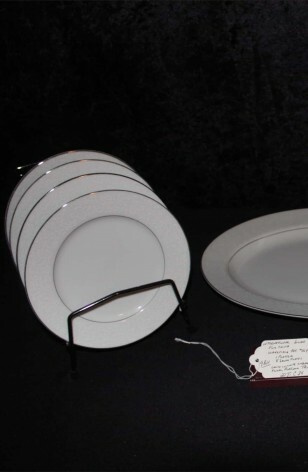 (9) Pieces including 8-Plates and 1-Platter, being sold as One Set Made exclusively for the International Silver Company in the 1950's. 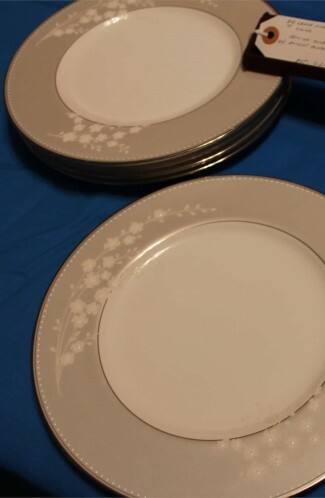 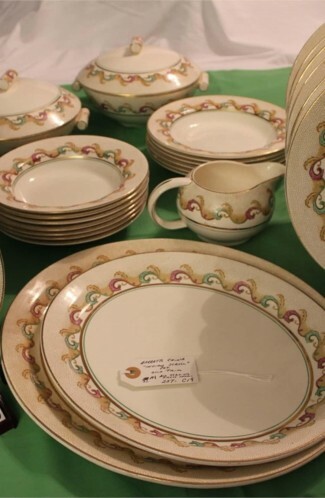 This a White Plate/Platter with White Embossed Floral Baskets having a large Filigree Band on the Outside Rim, Platinum Verge, and Platinum Trimmed on the Edging.